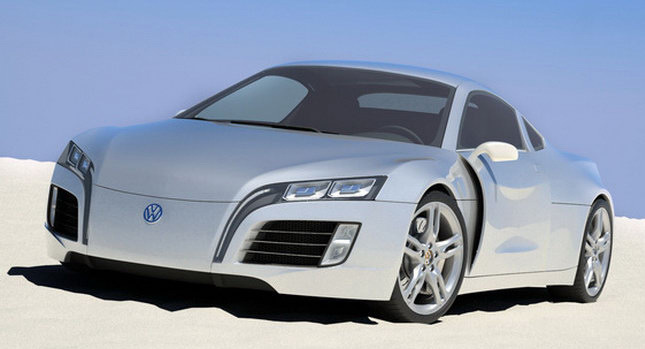 Imagine for a second that, in the very near future, Audi is facelifting the TT to look more like its big brother R8. Then, halfway through the project, Audi cans it and hands over all its sketches and prototyping model to Volkswagen which then decides to put the two-door coupe into production. Kyrgyzstanian graphic designer “Steel Drake” has created something very much fitting with this scenario in the form of his Volkswagen Concept Sports Car. Looking like a scaled-down, front engined Audi R8, Steel Drake’s Concept Sports is a simple-yet-sleek design let down only by some questionable design choices.